This seminar provides an opportunity to critically examine the concept of co-production in mental health at a time when NHS England is saying that “co-production is for the whole NHS”. We will look at the fate of several revolutionary mental health reform ideas originating with the service user and survivor movement and ask if ‘transformative co-production’ can be achieved in mainstream mental health services. We will examine evidence on what happened to user-defined empowerment, personal recovery, user participation and choice and control through direct payments once they were implemented into the mainstream. Using this evidence base, critical questions will be asked about the effects of the legacy of old institutional cultures and control mechanisms for achieving co-production in mainstream mental health services. 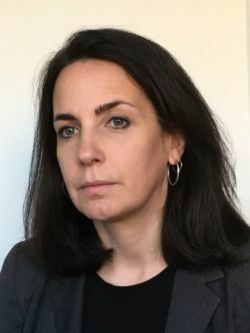 Dr Sarah Carr is Associate Professor of Mental Health Research, Middlesex University London and also runs her own mental health and social care knowledge consultancy. She has experience of mental distress and mental health service use and uses this to inform all her work. Sarah previously worked for the Social Care Institute of Excellence (SCIE) as a Senior Research Analyst. She was a member of the NICE Guideline Development Group for NICE CG136: Service user experience in adult mental health. Sarah is Vice Chair of the National Survivor User Network (NSUN), a former trustee of the LGBT Consortium and is on the editorial board of Disability and Society. She is a Fellow of the Royal Society of Arts, Honorary Senior Lecturer at the School for Social Policy, Birmingham University and Visiting Fellow at the School of Social Policy and Social Work at the University of York. In 2012 Sarah co-edited the book Social Care, Service Users and User Involvement with Professor Peter Beresford. The seminar will commence at 13:00. Please register your place only if you will be attending for catering purposes.